Tax season has never been easier—because we’ll handle it for you. Taxes and accounting — that’s all we do. 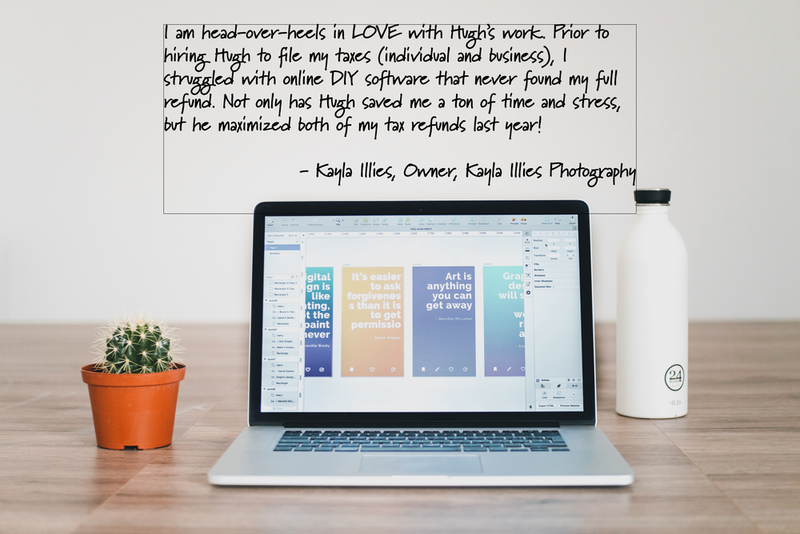 No bookkeeping, no QuickBooks consulting, just taxes and accounting. We stay focused on our areas of expertise and produce real money-saving results for our clients. 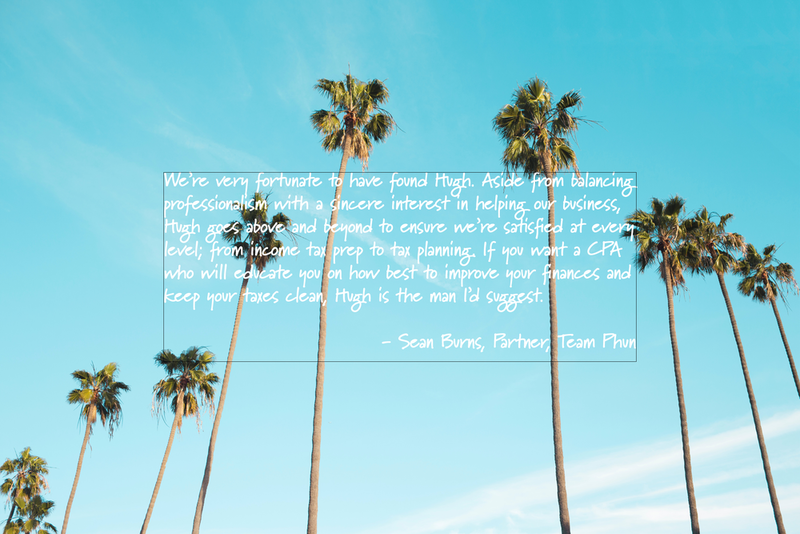 As CPA, Hugh handles every tax return from start to finish with his signature deep-dive approach. He once saved a single client over $2 million dollars in missed deductions and credits. His rule of thumb? He's not satisfied until he's discovered every possible angle for maximum savings. 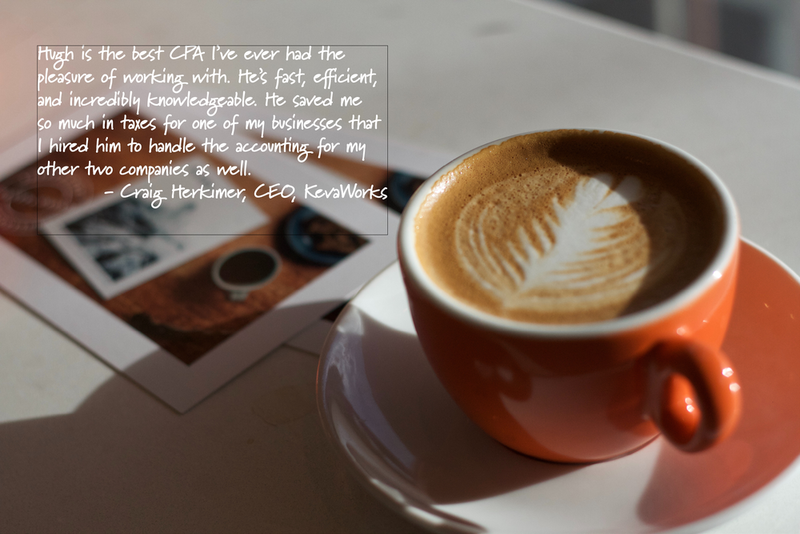 With 35 years of experience, Hugh, is one of the most knowledgeable CPAs and tax consultants in the biz. His tax planning has saved clients millions of dollars in taxes and helped them solve tough financial issues to speed up growth and increase profits. Last year, he figured out how to reduce one client’s taxes by $80,000 a year, permanently. Let’s get started — book your free 30-minute consultation.